Is the golden age of flying games making a come back or or should they stay grounded on the runway? I haven’t played an Ace Combat game since the series’ third game on PSONE. Accepting this review was meant as a catch-up of sorts - reacquainting myself with a long-lost game to see what they’ve been up to the last 20 years (and it really has been that long). To my surprise, the last mainline release was 12 years ago. There have been a few adventures since, but nothing people remember so much as the numbered events. I was also surprised to see how little Ace Combat has changed at all. the curse of games like Ace Combat is their limited gameplay range. Whether this is a classically ‘bad thing’ is not so easy to deduce. We’ve all played our share of gun-games - but how many of those were exclusive to the seat of a cockpit? 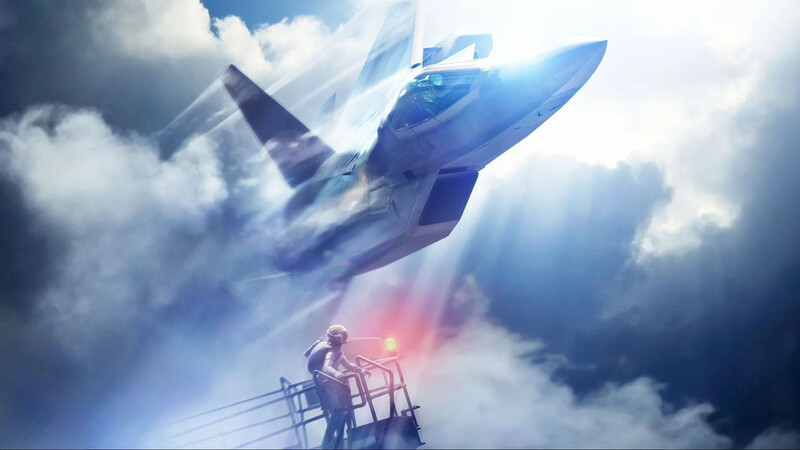 Even for someone like me who’s been separated from flight combat games for a long time - Ace Combat’s nostalgic simplicity still feels more novel against the oversaturation brought by the gun-fu genre. This is also a quick-fading novelty because the curse of games like Ace Combat is their limited gameplay range. 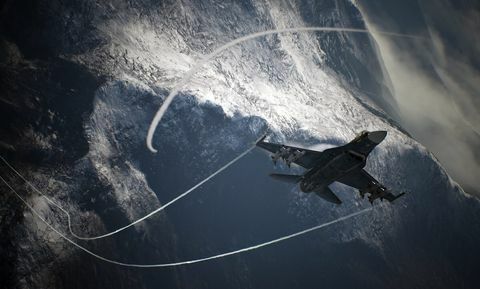 A semi-realistic fighter plane in a semi-realistic world can only do so many things; most of which is dogfight and shoot surface folk, and there are only so many ways of doing those. Though the game does its utmost to play within the confines and get creative in small ways - you’re never far from the feeling you’re just chasing tail and ramming missiles. I suppose this is one advantage of having a story resembling a Tom Clancy novel - you can justify some pretty eccentric mission ideas. 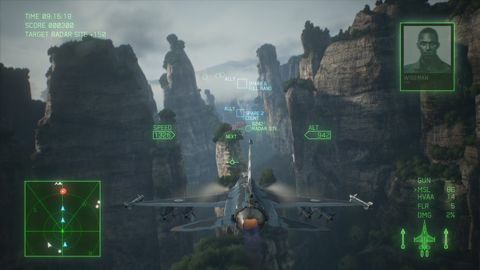 I’ve always loved the way Japanese games like Ace Combat explore/interpret global events and geopolitical drama in a low-key Kojima way that brings Time Crisis to mind. 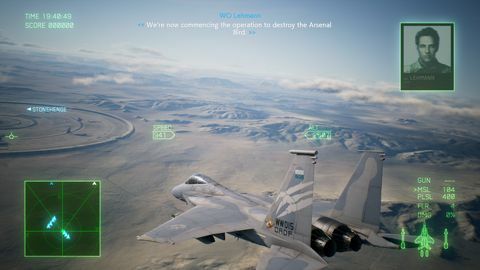 Ace Combat 7 is a politically-dense minefield of fictional vocabulary and high-quality, but obscurely-paced cutscenes. The game really wants you to care about its story, but can't give you the space to feasibly do so. 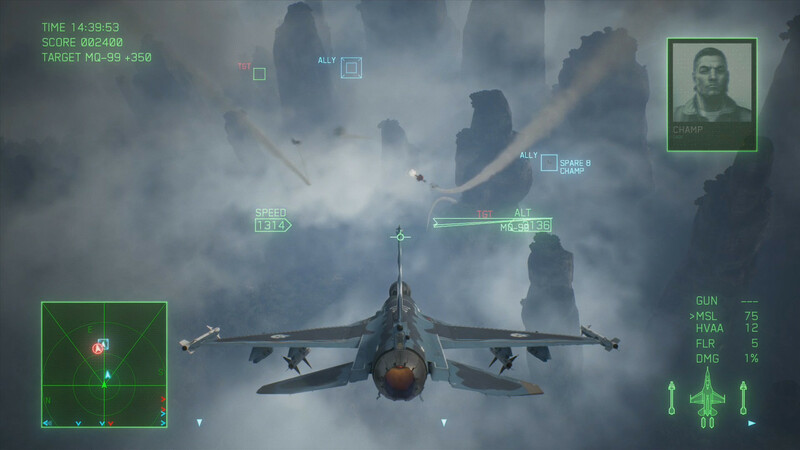 Ace Combat 7 is a politically-dense minefield of fictional vocabulary and high-quality, but obscurely-paced cutscenes. Narrowly dodging mountains, missiles, and trying to meet your destruction quota is a task in itself - and amongst the chaos, you’re handed a hefty dose of story dialogue to simultaneously pay attention to. And missile-locks. Those incessantly annoying missile-locks. Always shaking them off like mosquitos in a tropical forest. So the narrative that so importantly carries on becomes ambient conversation instead of the imperative and emotional conversation *missile-lock* it’s designed to be. Save for several frustratingly tight mission parametres; the game demands little of your fantastical ace skills. But if there’s anywhere I’ll need to pull-out the fly-boy moves I thought; it’d be in multiplayer. And I was kind of right. Fighting human players who aren’t designed to fly straight and let you get a lock are significantly more *missile-lock* rewarding to shoot down. But people being as they are will always find the easiest and simplest way around an activity. So what you might idealise as an intense tactical dream ends up being eight people playing merry-go-round. 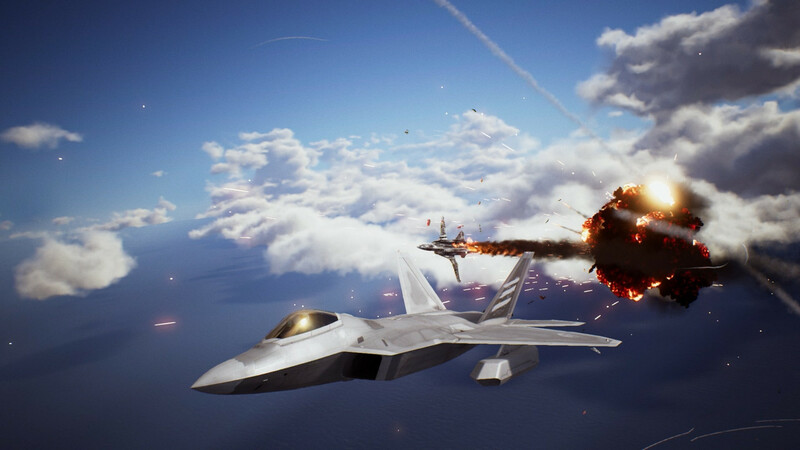 Ace Combat 7: Skies Unknown is a time-capsule from a genre I have sorely missed - but nor is it the best representative of its kind. Flight combat games went out of fashion after the 90s when they failed to grow past the hyper-realistic restrictions and associations they’d given themselves. Ace Combat has mostly been the less-serious and arcadey side of that trend, but it too hasn’t changed even after all this time. I see that both as a nostalgic benefit for the oldies, and a historical gameplay lesson for the generation that didn’t grow up with Chuck Yeager's Air Combat. I also see it as a teachable moment for other genres. Ups All the theatre of Top Gun. Brings to memory how shooting was before the FPS. Downs Still preoccupied with its adorably bombastic story as it’s always been. Some things don’t change - and very little about Ace Combat has.